Overgrown as it is, it’s hard to tell anything about the seven acre campus of University City High School. The building itself, which was designed by the firm H2L2 and opened in 1971, is a fortress, with strong characteristics of a penitentiary. It’s difficult to see much of it beyond the heavy massing of the fortress walls. 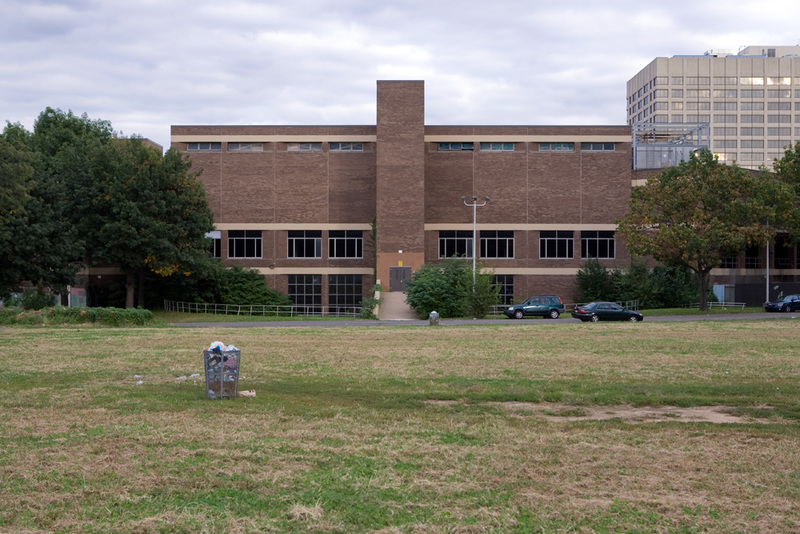 Certainly few remember that the wedge parcel of the campus, which includes the main high school building and an annex, was part of a densely inhabited neighborhood called the Black Bottom. 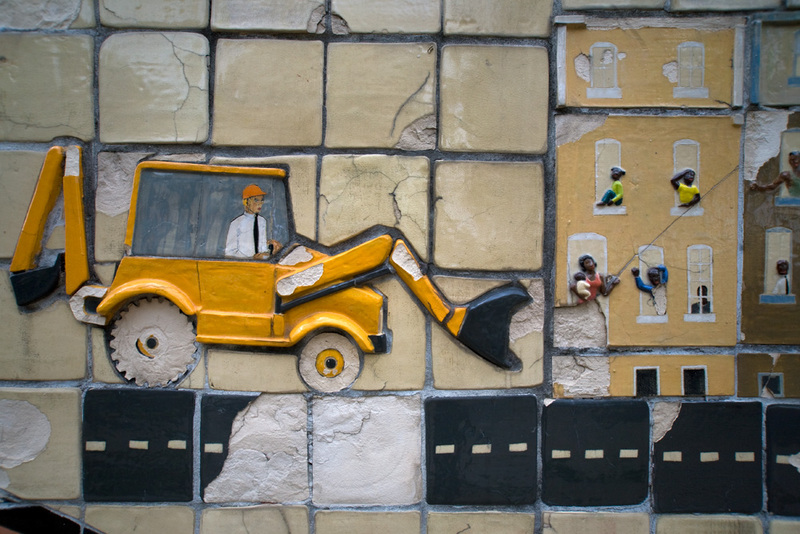 The neighborhood was removed during a heightened and much conflicted phase of Urban Renewal that allowed the University of Pennsylvania and Drexel University to expand. “University City” itself was born from this somewhat archetypal town-gown collision. 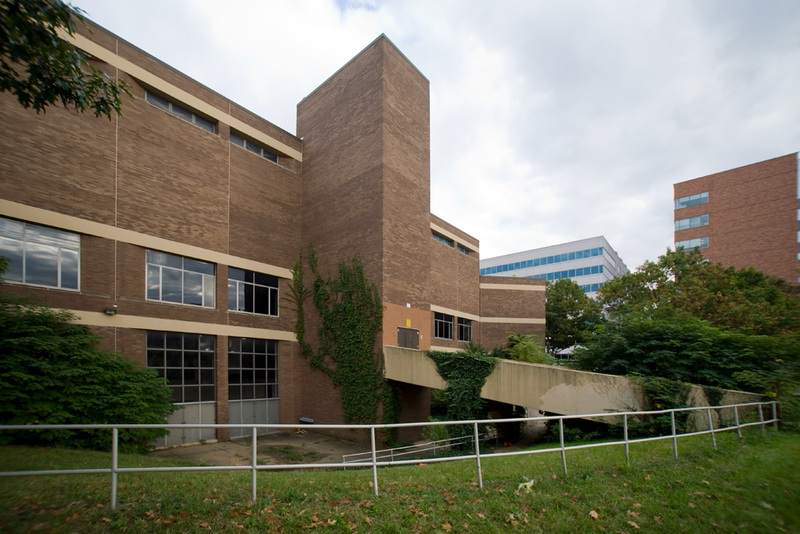 The high school and the University City Science Center were products of the conflict–attempts at progressive policy to leverage the resources of the emerging eds and meds sector. Critically, the school was conceived during the administration of the forward thinking School District superintendent Mark Shedd. 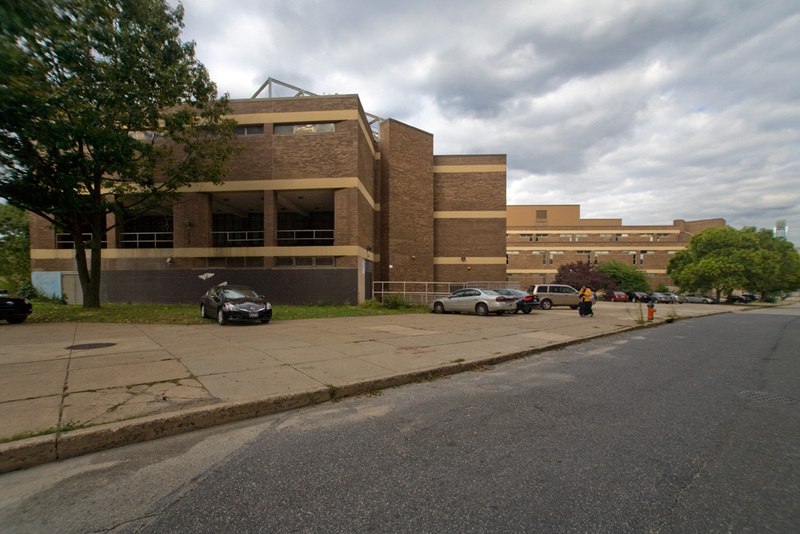 But by 1971, when University City High School opened, Shedd was gone, dismissed by reactionary Mayor Frank Rizzo. The high school was probably doomed from the start. 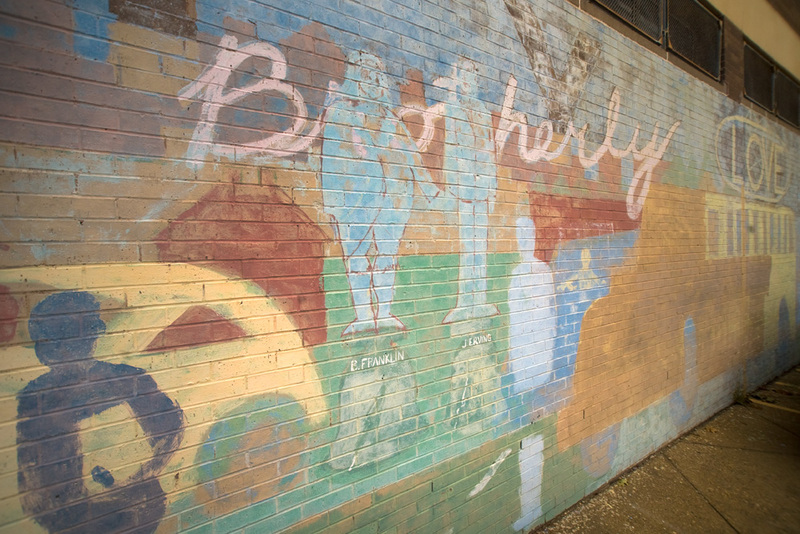 Penn in the 1960s was a hotbed of ideas in advocacy planning and landscape architecture, both of which may have been influences behind the school. But it wasn’t the overtly rich, elite institution it is today, capable of amassing big money and resources for public projects, as it has done with the Sadie Alexander School. And Penn administrators, no matter how well intentioned they might have been, were fundamentally expert men, who believed in the top-down administration of public and private goods. Perhaps we can read their minds in the design of the building. 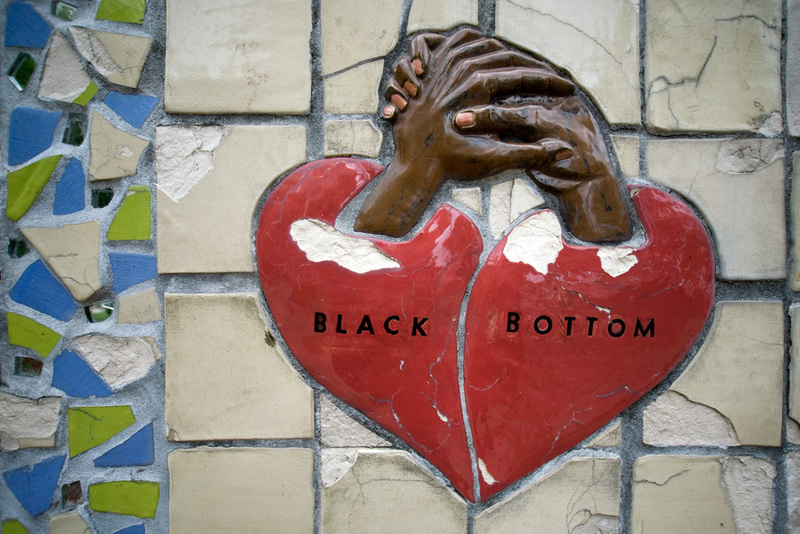 Moreover, anger of the loss of the Black Bottom was only starting to filter into a broader movement against white privilege in planning that would coalesce around the organizing of the Bicentennial celebration. 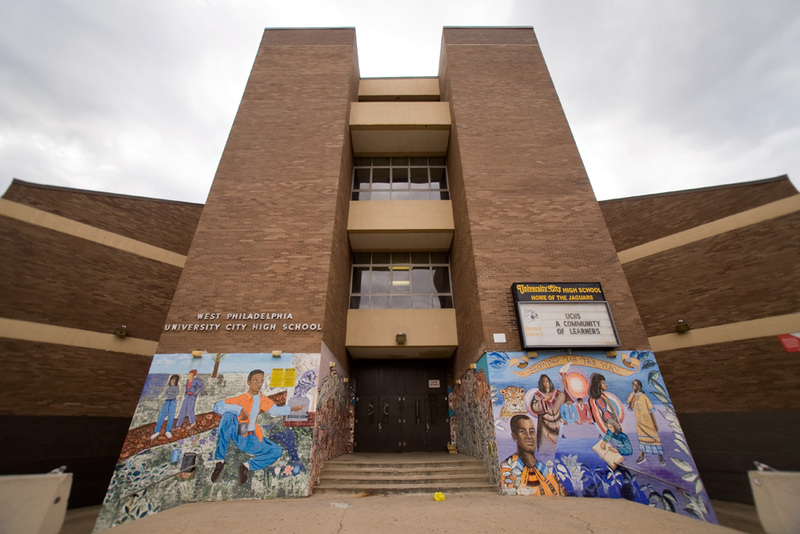 Penn’s most effective engagement with the high school probably didn’t begin until the 1990s, when, under the direction of Ira Harkavy, the West Philadelphia Improvement Corps–to later become the Center for Community Partnerships–began to commit faculty and student energies to the school. 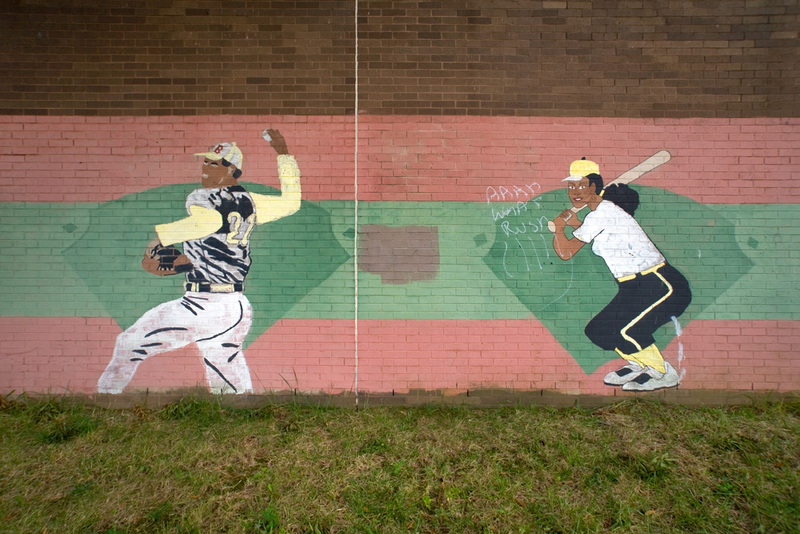 This sort of student-community engagement was certainly effective in bringing creative energy to the school, but it never translated into massive shifts in performance (and nor could it, as Center for Community Partnerships staff have long-contended, much larger, and more holistically applied resources are necessary to lift communities out of poverty). When I visited the school during that era (while working on the Center’s staff in a capacity unrelated to school programming), I was struck by the sense of fatalism among the teaching staff. 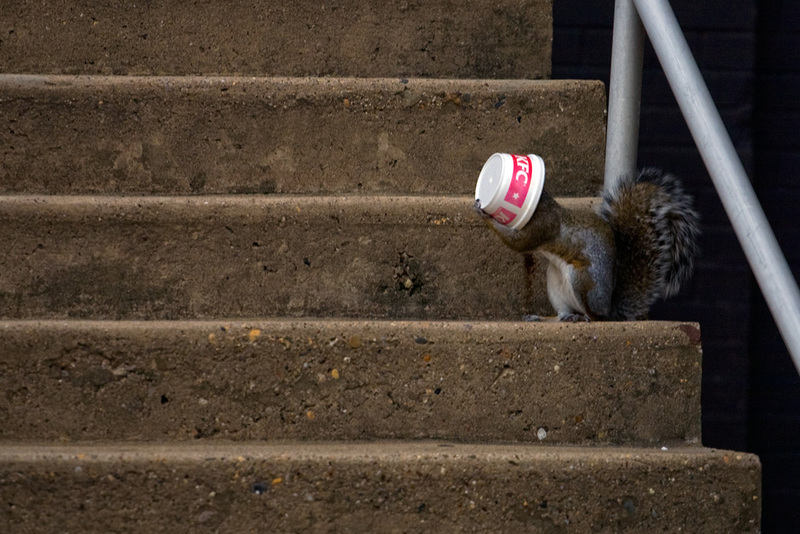 Though they welcomed the well intentioned interventions by Penn students and faculty, there wasn’t much they could do. The best kids, I was told by one teacher, were the quiet ones who made no trouble. All that ended, anyway, with the school’s closing at the end of last year. 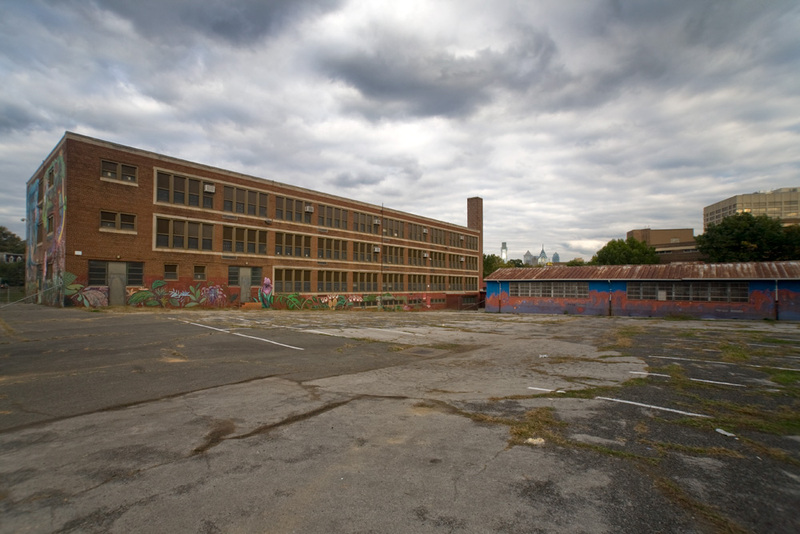 Now, Drexel appears to the first in line to acquire the site. Though Drexel officials declined to speak with Hidden City on the record about the University City site, the university’s interest is developing the parcel is clear. But what for? Does Drexel intend to create a school, as Penn did in Sadie Alexander, to attract faculty and staff to live in the neighborhood? A senior Drexel official indicated to me that the university sees strong public schools as key to its plans for the neighborhood. 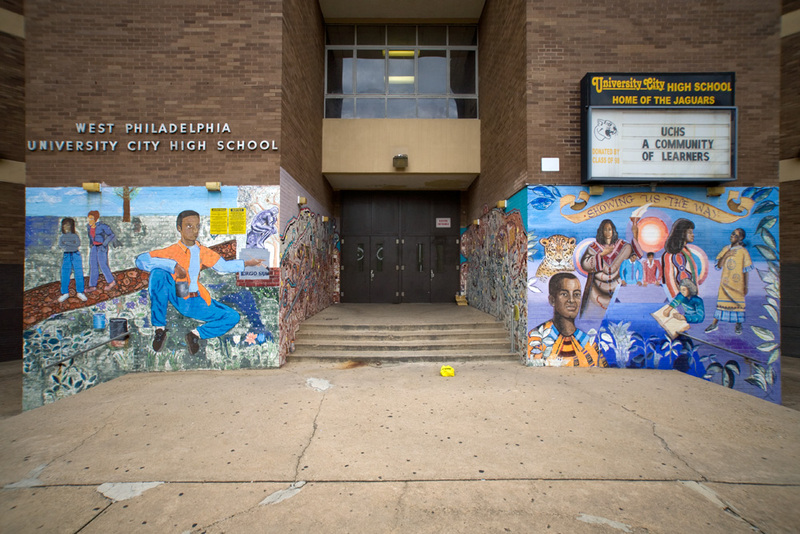 Would Penn and Drexel partner on a new magnet high school? 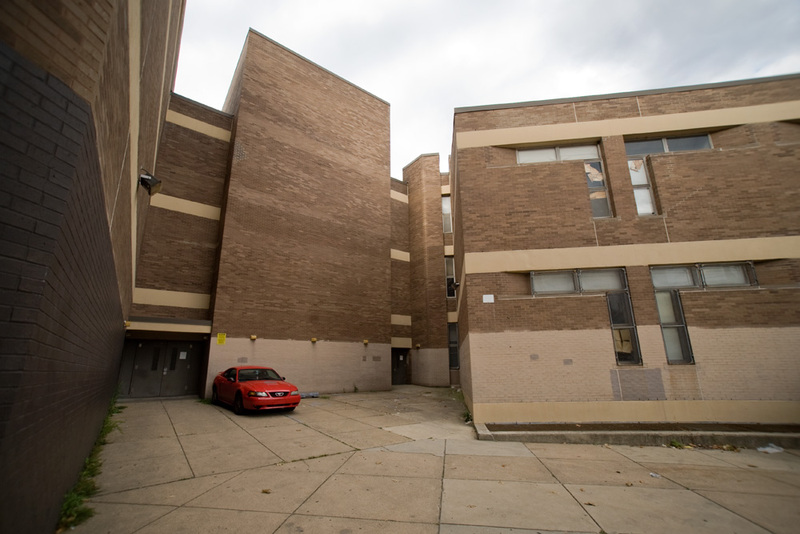 Yet given the the contraction of the School District of Philadelphia and its funding crisis, how could a school on the site be an option? If it’s hard to see the forest for the trees while standing at the base of the wedge on 36th Street above Filbert, it is certain that the parcel is among the most attractive, large, and essentially open tracts in central Philadelphia, and surrounded by expansionist institutions, including Drexel, Penn, Science Center, and Penn-Presbyterian Medical Center. Does this make it worth $30 million, as some have contended? Should it go to the highest private sector bidder? Directly adjacent, at 36th and Market Streets, Science Center will build a mixed use residential tower. 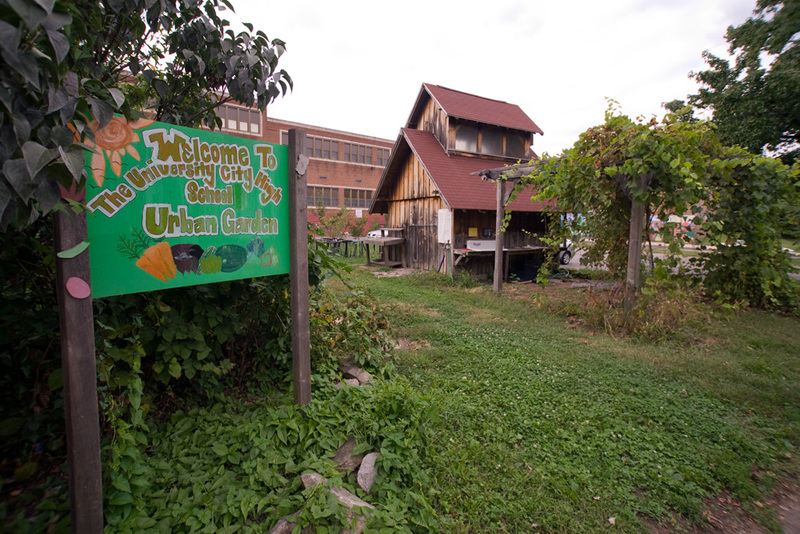 This suggests the UCHS parcel would be rife for dense mixed-use or commercial development, an outcome that would complete the process begun by Urban Renewal: stripping a neighborhood of its history and its shared public resources. And yet in 2013, the City would be unwise to think small about this critical wedge. Bradley Maule’s photo essay that follows captures many of these tensions still at work at this site. Devon McReynolds contributed research to this story. Thank you for this thoughtful essay. 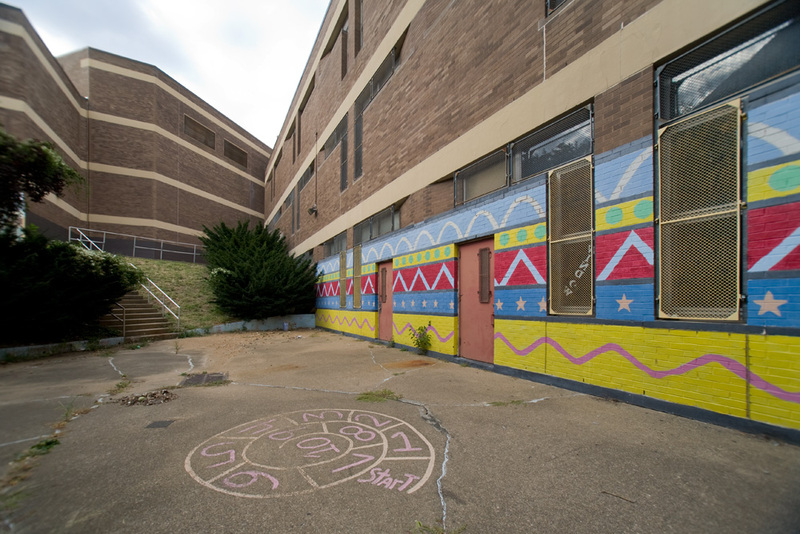 The site has a complicated history, and the circle of bad urban renewal policy seems to be making a full circle now almost 50 years later after the Black Bottom was wiped out. Great job, NR and colleague, but I agree with the prior commenter that it’s a complicated tale, well worthy of attention by an entire corps of professional urban and social historians. So far, the story of the Science Center and the various institutions like UCHS that grew up around or inside it has been told only in fragments: in self-serving books by top institutional leaders themselves, or on blog entries by fierce opponents of the institutions and the forces of gentrification, or in oddly disconnected accounts of early attempts at renewal like the original formation of the West Philadelphia Corporation (Partnership), or in one case by a student historian whose excellent work but non-professional work on the politics of the Science Center is downloadable from the Penn archives. It’s never all been fully and accurately connected to my knowledge. This is a sad piece of it, and let’s hope some redemption can be achieved in the next phase for this site. 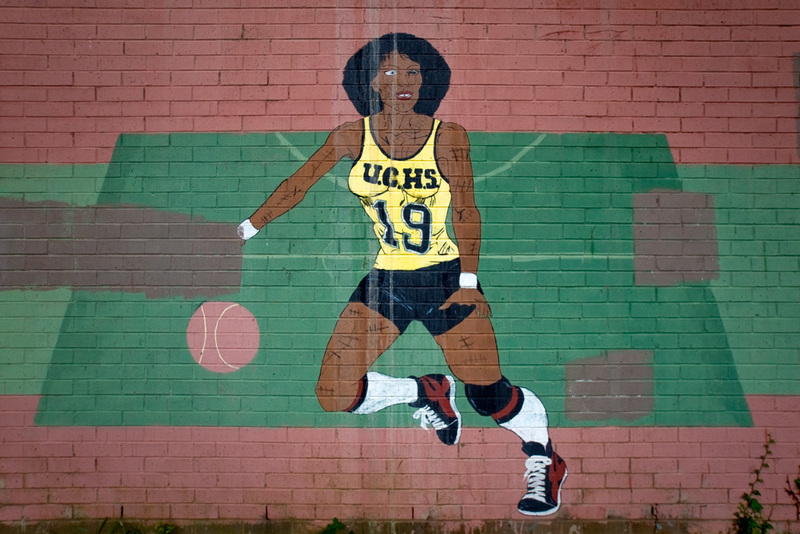 UCHS is past its time and needs to go in favor of more attractive development. 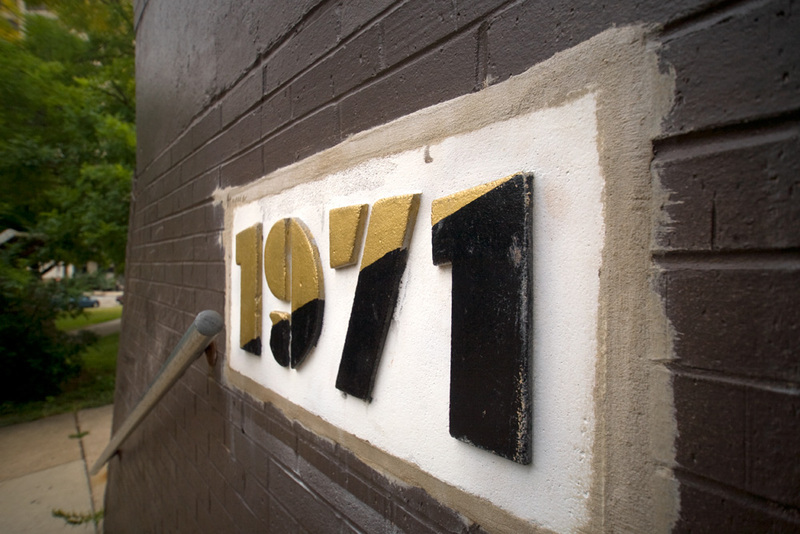 Education has changed since the school opened in 1971. 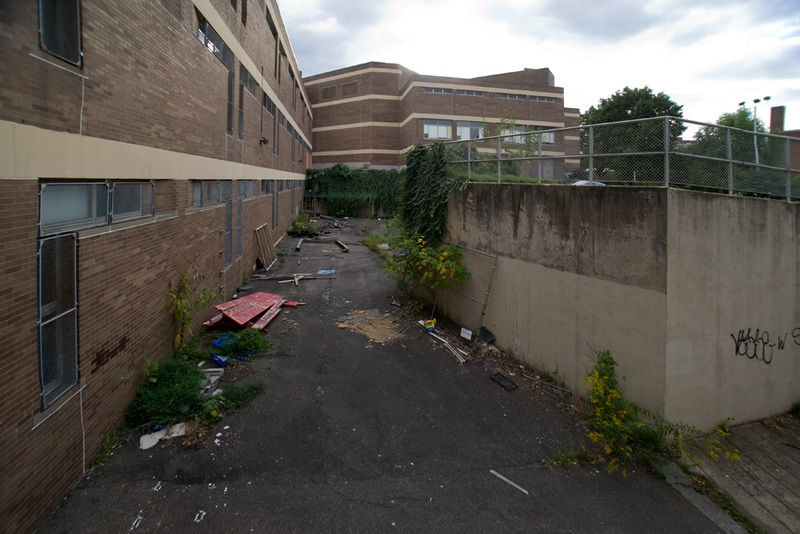 Most likely it will be Drexel who will buy, demo and build new college buildings on site which will obviate the need to build over the railroad tracks as this will be more costly than simply building on existing lots. In the final analysis, City Council gave 50M to the school district for all the 23 closed schools it wants to put up for sale. For City Council to back off from developing UCHS because a few nimbys objected would be the death knell of a plan to sell the 23 surplus schools. The sale of UCHS is not a complicated case to do as whoever wants it will simply buy the campus. I was raised at the top of the hill, in Powelton, and was always told that the building was originally intended to house a magnet math/science high school, which survived for years as a small program within UCHS, but that neighborhood activists forced the school district to turn it into a regular neighborhood high school, which was something the building really wasn’t designed to be.